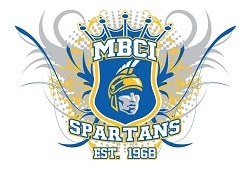 The Margret Barbour Collegiate Track and Field team participated in the MHSAA Championships in Winnipeg over the weekend and Wendy Cull from MBCI would like to congratulate all the students for their performance. A total of 13 student athletes from MBCI took part in the event and Student Seth Salamandyk reached the provincial finals in the Junior Varsity Boy’s Triple Jump finishing in 9th place. The other students that took part in the Championships were, Mia Brown, Chase Bertholet, Lucas McDonald, Jane Dunham, Jack Dunham, Liam Froese, Leif Grindey, Daniel McMillian, Chase Muswagon, Blake MacDonald, Hunter Rambow, and Dylan Stark.